A question that’s been concerning me of late: should I, as a writer, take the wide landscape view when deciding what to work on, or should I zoom in and maintain a tight, close-up focus? Yes, the above sentence is a metaphor. Hey, I’m a writer. What do you expect? But seriously, the wide view or the close focus question is something I’ve been thinking about recently as regards my writing. Regular readers of the blog will know that I’m currently working on my next novel, the sequel to Displacement. However I haven’t added a word to it for about a month. It’s not that I haven’t been at the desk and it’s not the case that I’ve done no writing in that time. And to be fair to me, during this monthly hiatus, one of the weeks was taken up with having the family, including young grandchildren, to stay over Easter, which was lovely but quite rightly precluded getting anywhere near my desk. And there was also the weekend away at the Scottish Writers annual conference – another lovely and worthwhile time away from the keyboard. I was also procrastinating as far as the novel is concerned. I’ve hit the metaphorical wall (okay, I’ll stop with the metaphors now). The novel has stalled and having lots of other writing, and writing related, tasks to do gave me the perfect excuse to put it to one side. However, I’ve now got a grip and regained some focus. This is partly down to me giving myself a talking to – a talking to that involves reiterating that procrastination is for wimps and requires to be worked through and overcome. And it’s partly down to something the keynote speaker, crime novelist, Caro Ramsay, said in a workshop she gave at the aforementioned Scottish Writers’ Conference. I realised, just as in any other job, I needed to prioritise. I needed to remind myself why I write – answer I love it – and what it is I most enjoy – I most enjoy being immersed in my characters’ lives. I also needed to remind myself that I’m in the privileged position of having been able to take early retirement from my teaching job in order to have more time to write. But that time waits for no-one and it’s fairly galloping along. And Caro Ramsay’s words also came back to me and helped me sort out my priorities. She’d asked those of us attending her writing workshop why we went in for competitions, why if we were novel writers did we not just get on and write our novels? She pointed out that she had no pieces of writing ‘in a drawer’. Everything she writes is for publication and gets published. This wasn’t said in order to boast about her publishing success, but rather to emphasise the point that all her writing has one purpose, i.e. to produce and publish a novel. She was urging focus and commitment. And this is someone who works fulltime as an osteopath and who writes in her ‘spare’ time AND who has published many novels with major publishers, Penguin. Now there’s nothing wrong with writing competitions per se. I’ve entered many in my time with varying levels of success. Something I find very useful about them is the deadlines they provide and in some cases the feedback that is given. However, they’re mostly short stories and I’ve now come to accept that writing shorts is not my forte. And I must admit I’d recently got sidetracked by the whole competitions thing. 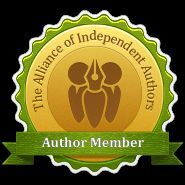 And I accept that social media networking, reading and reviewing the work of others, and writing my blog are all not just a vital way of connecting with readers and other writers, they’re also enjoyable in their own right. BUT novel writing is my thing. It’s my strength, my first love and my passion. And so I must get back to prioritising what I love the most. Like Caro Ramsay, I want all my writing published. So I’m going to focus on what’s got a chance of being worthy of publication and that’s definitely the novels. I also have a sense of loyalty to my readers. I promised them a sequel and a sequel that shall have. Therefore I’ve put a moratorium on competition entries for the foreseeable, and I’ve made diary commitments to when and to how much time I’ll give to the different aspects of my writing life each week with the novel getting the biggest share. No excuses, no procrastinating. I show up and even if I write drivel, I get on with the damn book, I move it forward. I know that sometimes my focus will falter, sometimes real life will get in the way of the imaginary one, but that’s fine and I’ll attempt always to pay back any novel writing time lost. I might fall, but I’ll get right back on the horse – sorry – metaphor crept in there! So here’s to getting Settlement finished and out by the end of the year. And yes doing this post was in the diary for today. What sidetracks you and how do you stay focussed on what matters most? Yes, I agree competitions have their uses. I suppose it’s a question of getting the balance right. All the best with getting going on the new novel. And thanks for reading and commenting. At least you did Easter for your grandchildren. Mine, 16 and 14, went to the beach for spring break. we’ve graduated from babysitting to dog sitting so spent the week with the dogs. I got a little writing done, feeling that there’s no better vacation than watching someone else’s house—no responsibilities. But mostly got frazzled commuting back and forth. I enjoyed your post, Anne, and sympathise with your dilemma. Like you, Anne, I discovered some time ago that novel writing was what I do best. It is what excites me most in my writing life. I stopped doing competitions of any type years ago when I could no longer manage along to EWC. I still play around occasionally with writing a poem or two, but mostly, I concentrate on my novel writing. I also love writing for my blog, but I came to a bit of a hiatus in that a while back. I was afraid my followers would get bored hearing about me, so I have been reblogging, interviewing, having guests, anything other than actually write a post! I have loved concentrating mainly on my novels. However, now that I am about to publish another, I do intend to get back to some proper blogging too.